For children, the fine art of learning comes through the fun act of play. 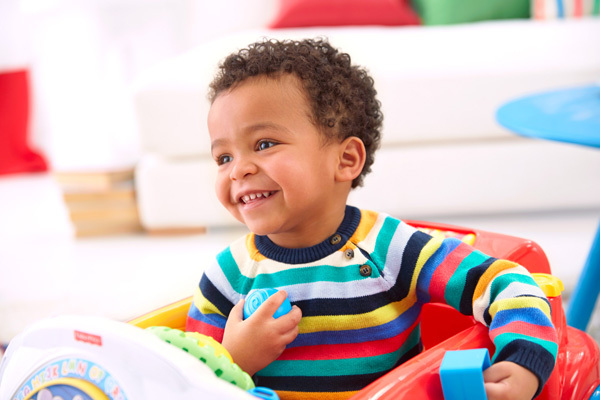 So why not test your child’s Play IQ and find out how your baby learns with this interactive and innovative quiz from Fisher-Price Play IQ? Babies and toddlers will respond to different things depending on their learning persona which is where Play IQ comes in. Fisher-Price Play IQ is a free online tool that gives parents advice on helping their children reach developmental milestones through tailored activities and toys. Through their new Fisher-Price Play IQ quiz, parents can identify their child’s persona, or their unique style of learning. Through play, babies are learning about the world around them and through the Play IQ quiz, you can better understand how their little minds and bodies are working. The Play IQ quiz only takes a few short minutes and can make a world of difference to how you connect to your child. You will identify the ways in which your child learns and interacts with his surroundings and by determining his play persona, you can then choose toys, games and activities that target his strengths, assist with his development and help build his confidence. So what is your child’s Play IQ? The Play IQ experts, including Kathleen Alfano, Ph.D., and Former Director of Child Research at Fisher-Price and Dr. Bettye M. Caldwell, Ph.D. Professor of Pediatrics in Child Development and Education, have identified seven different play personalities. As no two children are alike, having this tool can help you connect with each on a whole new level. It certainly helped with my children. My son, for example, was surpassing all of the physical milestones, but had a hard time in public and clung to me anytime we were around other children. Through the Play IQ quiz I discovered his play persona is a Little Legend – he loves to move in every way and demonstrates a higher Physical Play IQ. However, his Social and Cognitive IQ could use a bit of work. 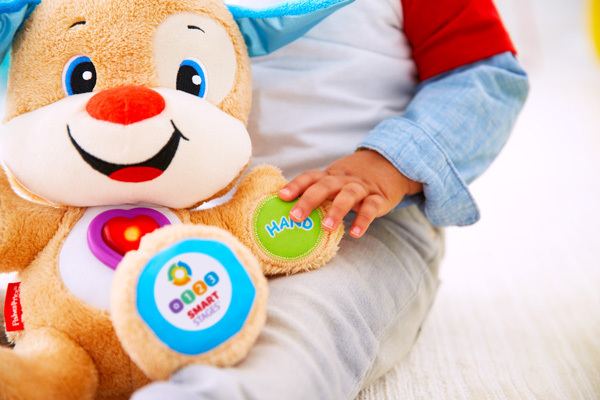 A toy that offers a high social development level, such as the Fisher-Price Smart Stages Puppy, for example, can help a Little Legend gain self-assurance in his voice and his communication with others. Interacting with his puppy friend allowed him to build his confidence to approach other children. It didn’t happen overnight but in time, my son did learn how to come out of his shell. And knowing his Play IQ persona certainly helped us get there. My daughter, on the other hand, was a definite Crowd Favourite with high levels of Cognitive and Social IQ and a passion for chatting away about everything and anything. However, she was slightly behind with her Physical IQ. 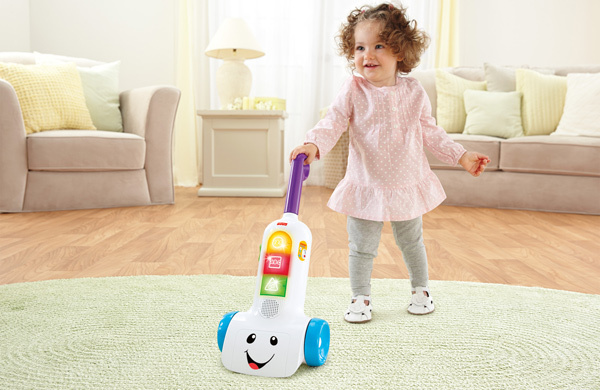 We used the Laugh and Learn Smart Stages Vacuum which helped her learn to walk but also encouraged role play, something our social butterfly has always loved. There are five other personas that your child could belong to. The Natural Charmer, for example, displays high Social and Emotional Play IQ with his gift of the gab. If your child loves attention but also shows a keen sense to listen and explore, then he most likely fits into this play persona. The Learner Lover is an avid explorer with high Cognitive Play IQ. He most likely responds well to books, puzzles and blocks. 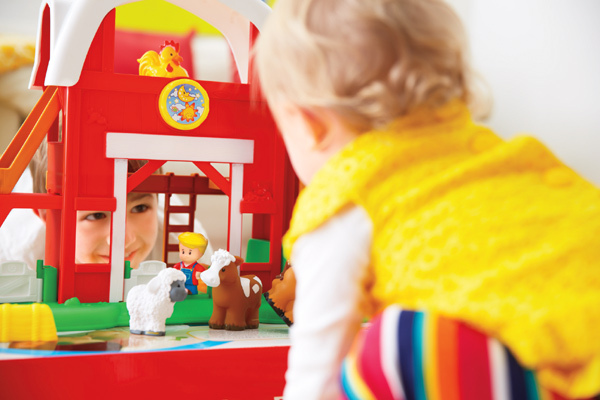 The experts suggest activities that encourage stacking, sorting and building can help further this development, so think toys like the Smart Stages Crawl Around Car from Fisher-Price’s Laugh and Learn range. A Small World Explorer has a high Physical and Cognitive IQ and a desire to move. 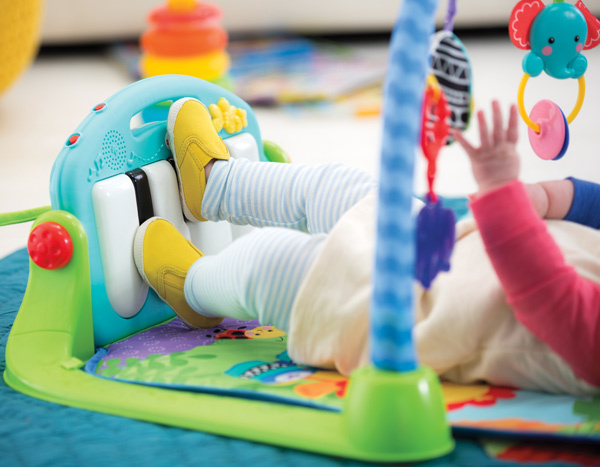 Toys that allow kicking or bouncing, especially with a musical reward like the Fisher-Price Kick and Play Piano Gym or the Go Wild Jumperoo will develop this passion for movement. You may have a Born Leader on your hands, which is a beautiful combination of strong Physical and Social & Emotional Play IQ. 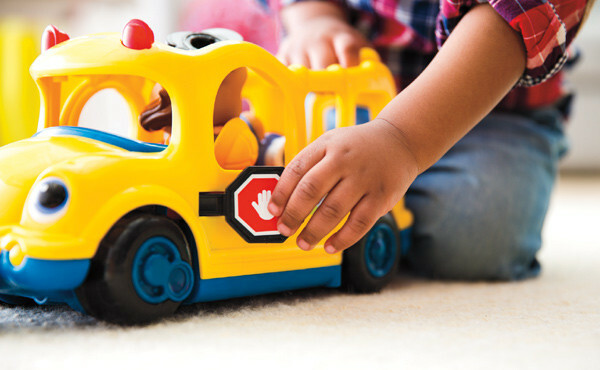 Your little one may have a desire to share and play with others so encourage this caring nature by choosing toys that build on imaginative and pretend play. Some children will develop all three of their Play IQ’s evenly such as the all-round achiever, the Big Time Player. Mix it up with toys that encourage all three levels of play at once and watch your child continue to grow his strengths. Take the quiz and be sure to share your results below!